David Fulton Fondren’s life began on the Fondren family farm in Hinds County on January 26, 1870, the son of Richard and Ella Fondren. His father, a native of South Carolina, was among the early pioneers of Hinds County. The family owned about 480 acres just six miles north of Jackson’s city center, which at that time was the intersection of State Street and Capitol Street. Making sense of their lives again after the family land was ravaged by the Civil War and Reconstruction, David’s father Richard died in 1874, leaving a widow and seven children. Because the land they owned was filled with Yazoo clay (in what is now the area around the intersection of Meadowbrook and Ridgewood roads), David Fondren knew he would have to find a career in a more urban, commercial area. For Jacksonians at that time, that meant a location near the railroad. David and his brother Edward picked a spot midway between the family home and city center in Asylum Heights near the state insane asylum, Millsaps College, and the Illinois Central Railroad. This is the area known today as Fondren’s historic district. In the thick of the horse and buggy era, Fondren purchased land from Isham Cade (see sidebar) in 1893 and invested $85 to open the Fondren Grocery Store at the intersection of what was Old Canton Road and Tougaloo Road (now State Street). The Illinois Central Railroad put a spur track from its main line to the asylum so that it could deliver coal to the hospital. The Fondrens used that spur track for delivering merchandise to their store in carload lots, and could ship out farm and timber products in which they sometimes dealt. Their village became home to many of the insane asylum employees and a shopping area for them and for visitors to the asylum. In 1906, Fondren formed a partnership with his nephew Elmore Greaves and Fondren-Greaves Realty company was organized, and it subdivided land and sold homes and building lots not only in Fondren, but the north Jackson area. 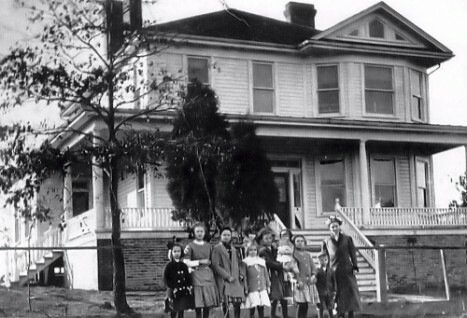 The Fondren family "Big House"
Two years after the store was opened, a post office was established inside the store to service the growing number of asylum workers who were making their home in the village around Fondren Grocery. David Fondren served as postmaster and because many of the residents didn’t like their mail being delivered to “Asylum Heights, Miss.,” the name was changed to Fondren, Miss. David married his wife Annie and raised his family in Fondren in the “Big House,” where Jackson Women’s Health Organization is currently located. The Big House became a gathering place for members of the community. In addition to the front porch, there were two gathering rooms inside the house on the first floor: the parlor and the front hall. Fondren, a staunch Presbyterian, always had the family over for dinner on Sundays. The Big House was also a gathering spot for the beginnings of Fondren Presbyterian Church. Begun in a house on the corner of North State and Lorenz Street, the church’s charter members met for morning services at the Big House for two years before moving to its present location in 1950. There, Fondren Presbyterian Church was formed and bore Fondren’s name. 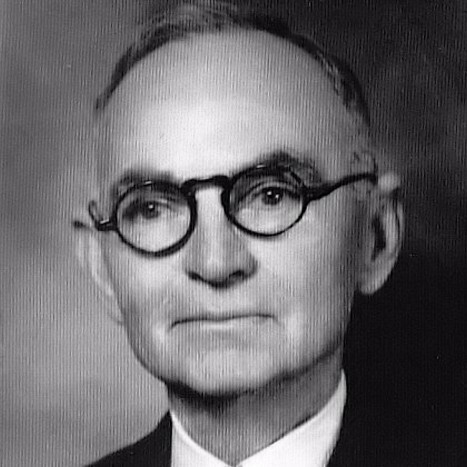 During his lifetime, he served on the board of deacons and at one time was the chairman of the board. 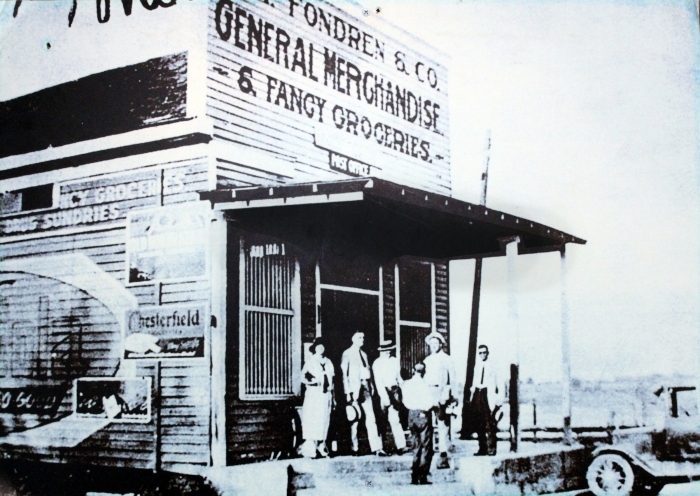 Fondren continued to be active at his grocery store and in the community until the day of his death on September 20, 1944. Telling of his dedication to his neighbors and customers, Fondren suffered a heart attack while taking groceries out to a customer’s car. A secondary attack later that day took his life. Following his death, his daughter Marian Fondren took over management of the business. Having worked there since 1917, she successfully carried out operations until the store decided to close in January 1953.